MALDIVES, 8 November 2018: Despite disruptive politics the Maldives continues to attract hotel investment with Mövenpick the latest brand to open shop on one of the nation’s tiny islands. Travel experiences focus on simple beach life and water sports. There is very little interaction with locals, which limits the Maldives appeal to quality time with loved ones. While the destination might not excel in nightlife, entertainment or even restaurants beyond a resort’s boundary, for scuba divers and marine enthusiasts the Maldives is a veritable paradise. 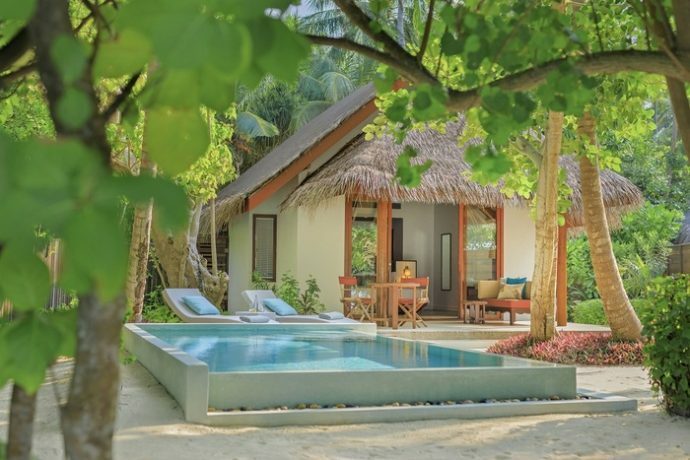 More hotels opened this year and in early 2019 Waldorf Astoria will make its debut offering luxury pool villa accommodation. This week, Mӧvenpick Hotels & Resorts Kuredhivaru Maldives opened its doors, 5 November, at the Noonu Atoll with 105 villas. It will require a 15-minute speedboat transfer from the new airport on Maafaru island also in the Noonu atoll when it opens in 2019. Oblu Select at Sangeli opened last July with 137 villas, some over water, the rest close to the beach. More recently the Emerald Maldives Resort & Spa opened last October with 120 villas also a mix of over the water and beach accommodation. But the most welcome news for lovers of luxury is the pending opening of the Waldorf Astoria Maldives in early 2019, a property that spreads out over three tiny islands in the South Male Atoll, 23 km from Velana International Airport and a 30-minute transfer from the capital of Male. In its pre-opening press release the property claims it will offer 10 dining outlets. This week’s opening of the Mövenpick, a Swiss brand famed for its chocolates and ice cream adds another top-end resort in the Maldives. The group is part of the AccorHotels factory of brands. Also, last week, Luxury Travel Guide named Dusit Thani Maldives ‘Luxury Hotel & Restaurant of the Year – Maldives’. So how do travel deals stack up for stays in the Maldives? The award-winning Dusit Thani Maldives will set you back USD663 a night during mid-December if you take advantage of an Agoda deal. Baglioni Resort is selling at USD749 rooms on Expedia, while Lux North Athol is considerably cheaper at USD386. Oblu Select at Sangeli has a rate of USD636 a night. Despite, Movenpick’s opening offer of USD577, Agoda quotes USD460 for the same accommodation. One of the most popular spots, Centara Ras Fushi Resort and Spa has a starting rate of USD716 on Agoda. Most of the resorts pitch for a minimum of three nights including breakfasts, which is understandable. Who would want to fly to the Maldives for just one night? When you include meals, booze and airfares the experience will set you back around USD4,000 for two people over a three-night resort stay. This would include a USD170 to 300 transfers by seaplane or boat to the resort. Food and beverage costs are high outside of meals provided in the rate. For example, a litre bottle of drinking water can set you back USD11. Apart from at your resort, the sale of alcohol is forbidden in the predominantly Muslim nation. Cheaper versions of the Maldives are available by staying in budget accommodation on Male the main island and hiring a speedboat to visit other islands for snorkelling or scuba diving. But that won’t work for a honeymoon or a romantic reboot. 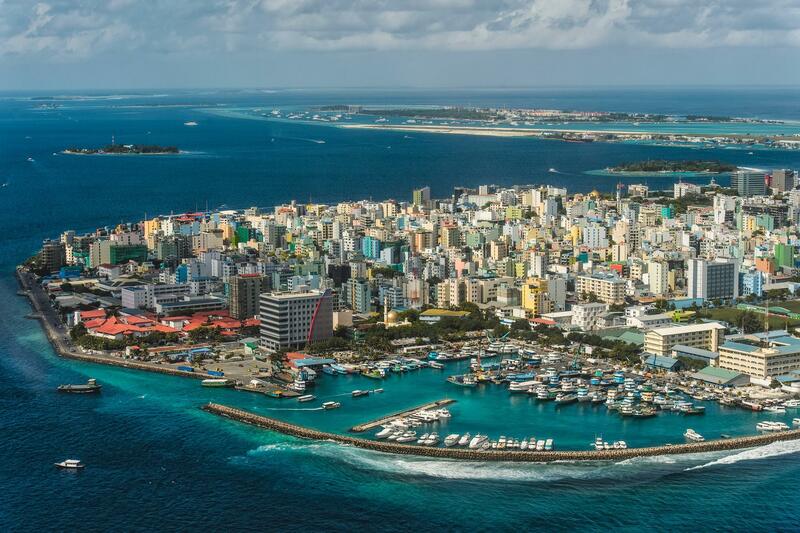 The Maldives is just not compatible with tight travel budget.